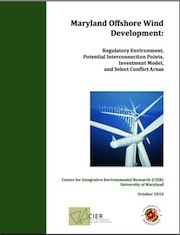 Researchers In Focus To confront global warming, governments and businesses around the world must collaborate to enact policies that will reduce greenhouse gas emissions while minimizing adverse effects to the economy. 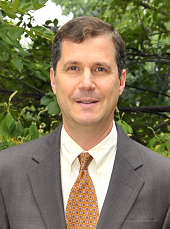 To help public leaders make these decisions, Professor Steve Gabriel -- professor of Civil and Environmental Engineering, co-director of UMD's Master of Engineering and Public Policy Program, and a CIER affiliate -- has built climate energy and economic models that institutions can use to consider the impacts of potential environmental policies. What do these models capture? In several projects, such as the LinkS initiative -- funded by the Norwegian Research Council -- we use an ensemble of models, including GCAM (developed by Joint Global Change Research Institute), a large-scale model that measures atmospheric conditions and trade flows around the world. It can evaluate the impacts of technologies such as carbon sequestration and land competition between food and biofuels. Others in the suite of models have been developed for coal, electricity, and natural gas markets. Many countries have climate stabilization goals, but no one really knows the true cost and feasibility of these climate stabilization objectives. 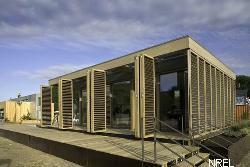 Our models, when combined, will be able to shed some light on these and other energy-environmental planning questions. How can governments use these models to determine their carbon reduction goals? Let's say Eastern Europe needs a 50 percent drop in coal to help meet a worldwide goal to get to 550 parts per million carbon dioxide in the atmosphere. We can make predictions on what the energy markets will look like with a 50 percent reduction in coal use. For example, we can examine what stresses this might put on the natural gas sector. We can also do a feasibility check. Consider a country in Western Europe that wants 20 percent of its electricity to come from renewable sources: Is this feasible within a given timeframe? What role does engineering play in reducing climate change? Engineers provide insight to people making decisions. In terms of infrastructure: Can this be done? What are the engineering alternatives? What would it cost? What do you hope will come from these efforts? We suspect there will be some non-intuitive results and some guidance for policymakers. For example, the European Union has a plan for a 20 percent reduction in overall emissions (compared to 1990 levels); a 20 percent cut in energy consumption through energy efficiency; and a 20 percent increase in the share of renewable energy use (currently at 8 percent) -- all of this by the year 2020. We expect our models will show what is needed to achieve such goals. What politicians say should be done and what engineers and economists say can be done, given technical and financial constraints, are not always the same. A Happy, Healthy and Prosperous New Year to All! As we reflect on the Center's many accomplishments in 2010, it is clear that our impact on campus, in the region, nationally and worldwide has been the product of the intellectual capital, ingenuity and hard work of our fulltime researchers, faculty affiliates, foreign visitors and graduate students. A heart-felt thank you to them all, and to our sponsors -- local and global -- for their support of the various CIER research projects. Watch for invitations and announcements of workshops and presentations, as UMD will again host the national conference on making campuses more sustainable. CIER has conducted a comprehensive greenhouse gas inventory of the University of Maryland, in close collaboration with the UMD Office of Sustainability. The findings are being used by UMD leaders and the University Sustainability Council to identify opportunities to reach carbon neutrality by the year 2050. CIER is also working with the University System of Maryland to help understand commuting practices and identify opportunities for reducing emissions across many campuses considered "commuter schools." For a summary of impacts of several Maryland growth scenarios on future residential energy demand and nutrient loading in the Chesapeake Bay watershed, see the presentation by CIER Researcher Andy Blohm at the Western Regional Science Association Annual Meeting. As part of an ongoing international collaboration on climate change adaptation, CIER hosted a week-long workshop on climate adaptation, with participants from Maryland and Germany's Nordwest 2050 Project, to share lessons and strategies between these regions which have in common many geographic features and climate-vulnerable industries and infrastructure, and have taken a leadership role in preparing themselves for possible future climate conditions. Maryland Offshore Wind Development, a CIER study released this fall, identifies important economic and political issues for the success of an offshore wind power program which the study finds can offer a feasible way for Maryland to help meet its renewable energy goals. To preview an interactive Coastal Atlas for the State of Maryland, CIER hosted a webinar in February together with Towson University, the Maryland Energy Administration and the Maryland Department of Natural Resources. The tool provides detailed data on human uses, biological resources, and geophysical attributes of the Maryland coastal region. The Atlas supports Maryland ocean planning efforts, providing stakeholders and coastal manager access to information that can help identify areas most suitable for offshore wind energy and other activities in order to reduce conflict among uses, facilitate compatible uses and reduce environmental impacts to preserve crucial ecosystem services. To aid a statewide effort to expand sustainable agriculture in Maryland, CIER researchers, with collaborators from the World Resources Institute, looked at ways in which a state nutrient trading program to reduce water pollutants in the Chesapeake Bay might also reduce agricultural greenhouse gas emissions. 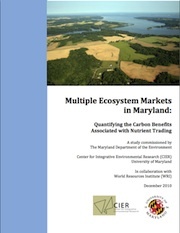 The report released by CIER this fall, Multiple Ecosystem Markets in Maryland: Quantifying the Carbon Benefits Associated with Nutrient Trading, examines how stacking (trading permits in carbon and nutrient markets) would affect the price of carbon and environmental integrity of a carbon market, as well as how these various pricing policies would affect current participants in the nutrient trading program. Strategies for Carbon Dioxide Emissions Reductions: Residential Natural Gas Effieciency, Economic and Ancillary Health Impacts in Maryland, a study by CIER with support from the Maryland Department of the Environment, details how improving the efficiency of heating homes in Maryland can not only reduce substantial carbon emissions, but save hundreds of dollars in average heating bills and create 80,000 new jobs. Upon release, the report earned widespread state and national coverage, including mentions in a news article and editorial in the Baltimore Sun.